For the serious grill masters out there, they will want to purchase a grill that is durable and heavy duty to help maintain heat and temperatures. The design and quality of a grill is everything for those who want more ease when it comes to preparing evenly cooked food and getting the right texture, especially when cooking for large groups. The Blaze recently was crowned the best luxury option in our round up of the best charcoal grills for 2018. There is no doubt, cooking with charcoal gives food exceptional taste and texture. For those considering a good charcoal grill, one popular seller that is getting much attention from serious grill masters is the Blaze 32- inch stainless steel freestanding charcoal grill, which we will be reviewing today. How easy is this grill to use? With its sleek look and design, this heavy duty stainless steel charcoal grill will become the centerpiece of your outdoor kitchen. This grill has a beautiful stainless steel finish, completely around the exterior, as well as the inside, which should highlight that it is made from actual quality, solid stainless steel. You get a lot of grill real estate, which you would expect as this price point. This grill is large enough to cook 24 hamburgers at once. Easily enough for large gatherings. 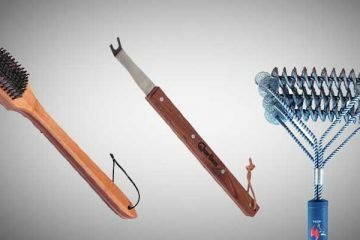 The grill features solid stainless steel grids with matte finished rods to keep seasoning oil intact, which prevent food from sticking. Each grid has holes, allowing grid hooks to be inserted to make raising grids easy for adding charcoal. 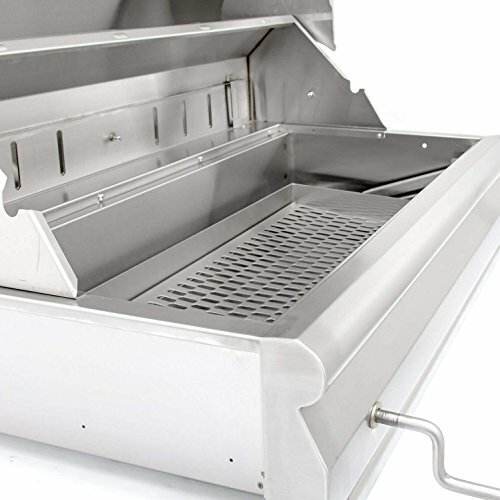 Other features include, an adjustable stainless steel charcoal grate that can be lowered or raised to suit desired cooking temperatures, along with adjustable vents on the back of the grill. The charcoal grate and ash pan below are removable, making clean up a breeze. 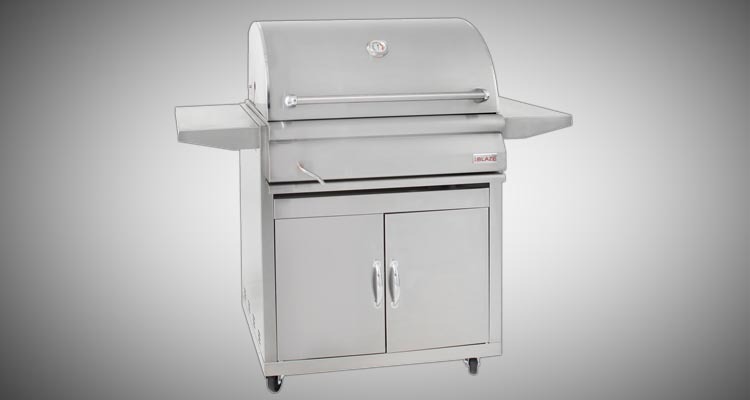 Easy to use – Because of its unique design and features, the Blaze charcoal grill is easy to use, compared to most standard conventional grills that tend to be flimsy and are made of lower quality materials. 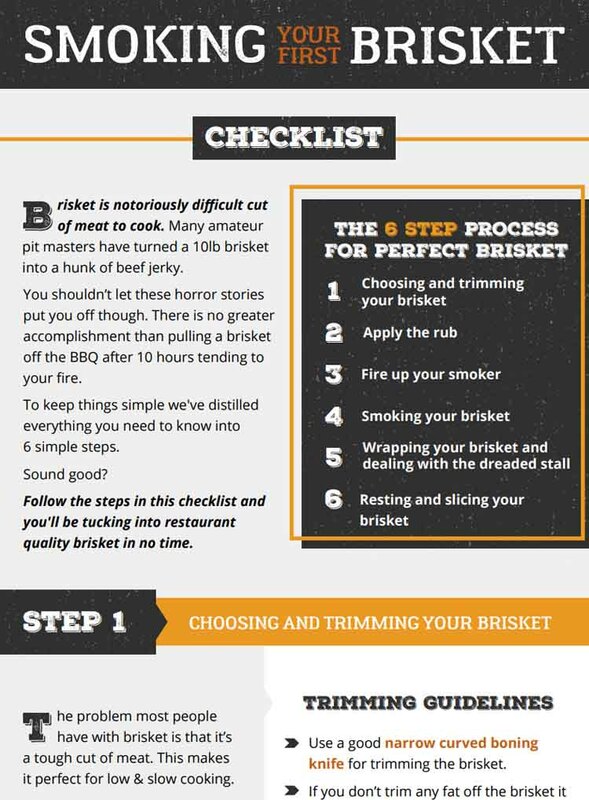 Simple clean up -With the features we mentioned that makes clean up easier, grill masters can save time focusing on other aspects of cooking. Design and style – Much thought went into attempting to create the perfect grill with the Blaze design. Not only does this beautiful, solid stainless steel grill stand out and draw attention, but also helps food cook evenly, completely around the surface for desired results. As we discussed, ease of use went into the design, which we will talk more about. Effective temperature control -Due to the Blaze grill design and features, using quality, durable, heavy duty stainless steel materials, maintaining food temperatures is not a problem, compared to cheaper grills on the market. 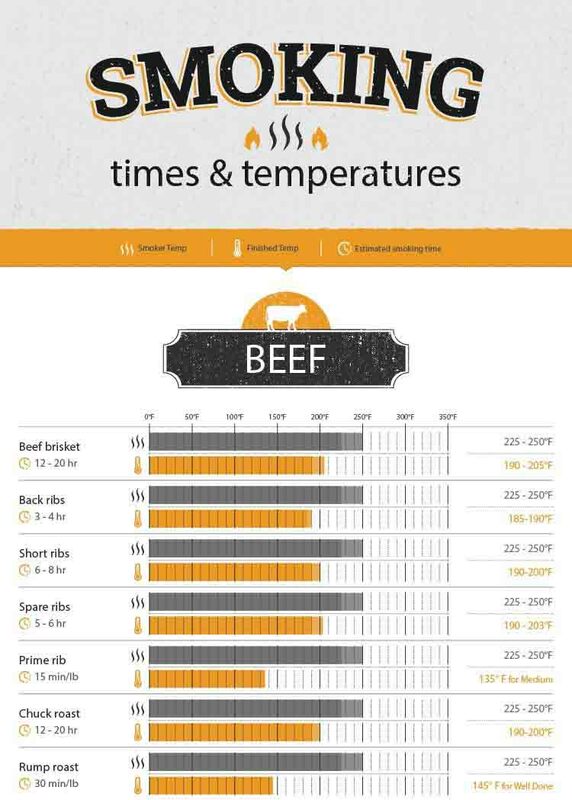 The built-in hood thermometer – should not be an indicator of how food is cooking and should only be used as a guide for the grill temperature itself, usually during the initial set up. The majority of grill masters have separate digital thermometers with probes, which monitor both food and grill temperatures individually. 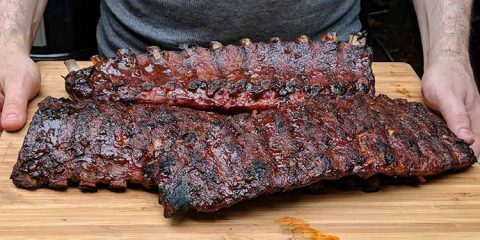 Unlike the new digital thermometers, equipped with Bluetooth technology, which can be monitored from smart phones and alerts the grill master when temperatures are off, the built- in thermometer on the grill, has to be physically monitored. With the Blaze charcoal grill’s effective temperature control and heat retention, it is difficult to find anything else we strongly dislike. Finally, the grill should be covered when not in use to protect it from the elements caused by weather. Since the grill is stainless steel, it could rust after being continuously exposed to rain and moisture. 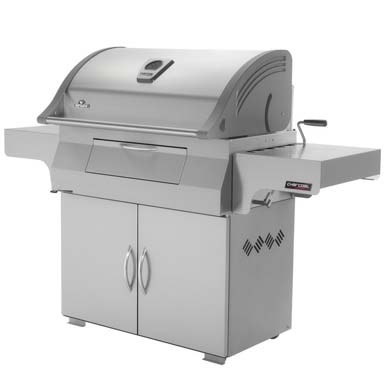 As previously mentioned, the grill is made of high grade 304 stainless steel. The manufacturer backs up their claims of superior durability with a lifetime warranty on defects to the stainless steel housing and cooking grids. All other parts are covered by a 1 year warranty. The Blaze is available in both freestanding and built in option. The freestanding option includes a cart that is well constructed and includes a large storage area. The cart is also equipped with locking wheels. At this price point the Blaze is competing with a high standard of luxury grills. At the end of the day the build quality and extra features allows you to focus on getting the food cooked just right, opposed to struggling with temperature control. 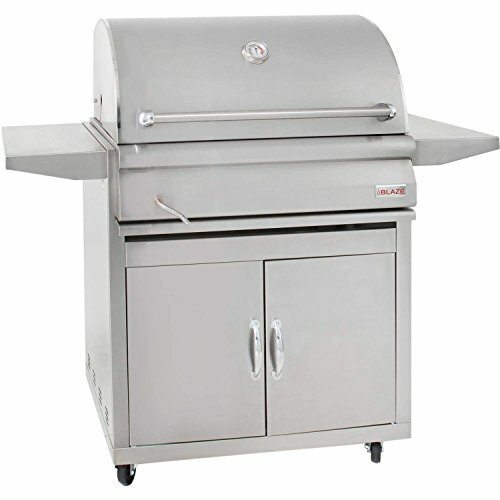 The features we discussed on temperature control, sets this grill apart from many others. You obviously can’t go wrong with the adjustable charcoal grate and vents on the back, and we love the easy- lift grids to add more charcoal as needed. The removable charcoal grate and ash pan makes clean up very simple. 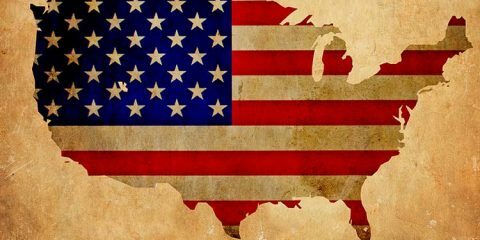 The ash pan needs to be emptied into the trash and wiped clean. 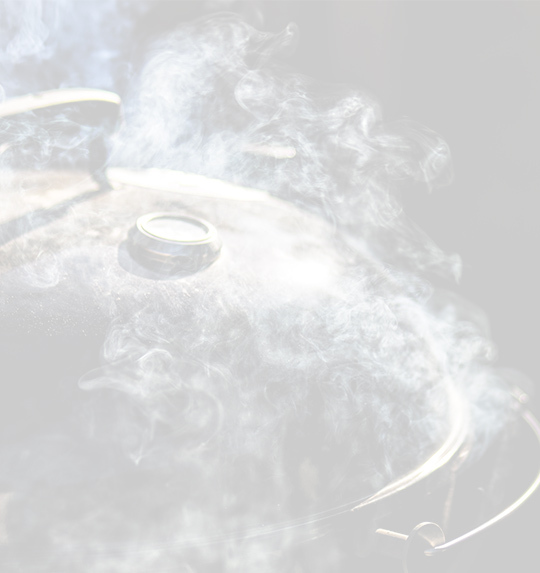 Other standard grills require accessing the charcoal burner, where it has to be scooped to remove the remaining ashes. This can be time consuming and messy. The matte finished stainless steel grids that prevent food from sticking, likely just need a quick wiping down with a damp cloth. 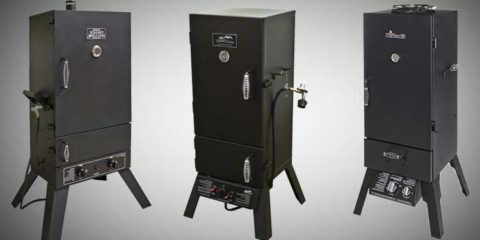 Another popular grill, that’s one step down in price is the Napoleon charcoal grill. Just like Blaze, the Napoleon has a removable charcoal grate for easy clean up. However, it also has an accessible door located on the front for adding charcoal. Similar to the Blaze, the charcoal bed is adjustable and includes heat vents. 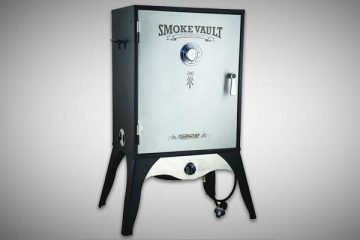 The Napoleon is also made of high grade stainless steel with the same exterior finish as the Blaze. Unlike the Blaze, The Napoleon has a separate rotisserie burner, wave design, porcelain- coated, cast iron grids for even heat distribution and convection, opposed to the Blaze stainless steel grids. The Napoleon includes a built- in heat thermometer for monitoring grill temperatures. The Napoleon is slightly larger, packing 605 square inches of cooking space rather than the 550 on the Blaze. You can’t really go wrong with either grill.